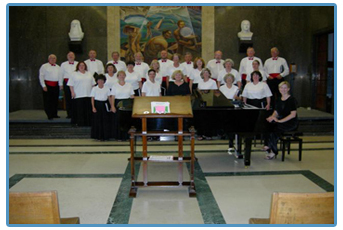 In June, 2010, the Southern Crescent Chorale returned to Europe for a second tour. Visiting and performing in Vienna, the same city as many of the music masters, was a thrilling experience for all of the Chorale. 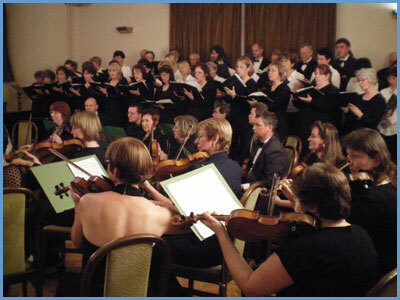 One of the highlights of the tour was the Prague concert which was a collaboration with the Emauzy Choir and Orchestra. Each group performed alone and then joined together to perform several pieces including Hallelujah Chorus from Handel’s Messiah. 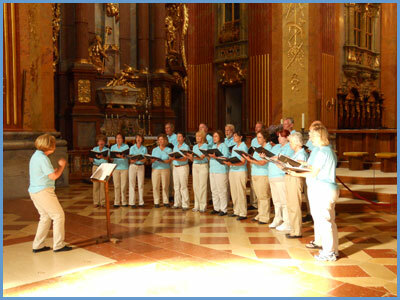 It was a moving experience to share the joy of music with our fellow singers in Prague. The Chorale was also inspired by the story of an All Saints Church parishioner who told his story about the day the Berlin Wall fell. He presented the Chorale a plaque with a piece of the wall in appreciation for their performance. 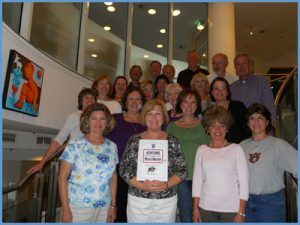 In June 2007, the Southern Crescent Chorale traveled to Italy for the Chorale’s first European concert tour. For eleven days, the Chorale toured the country and shared a joyful and stirring program with welcoming and enthusiastic audiences. The varied program included opera and oratorio choruses, spirituals, and American show and pop music. 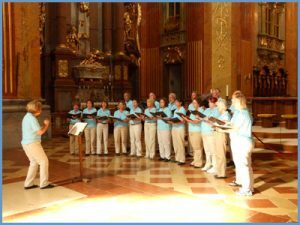 A true highlight of the tour was the opportunity to perform in a rich variety of venues, from music festivals, to magnificent cathedrals to university campuses. Chorale members were deeply moved by the beauty of the music performed in such glorious and often historic settings, and by the warmth and hospitality of the Italian people.